Silver Investing Advice has been one of the prime investment strategies we have been sharing with visitors to PreciousMetalsInvesting.org. 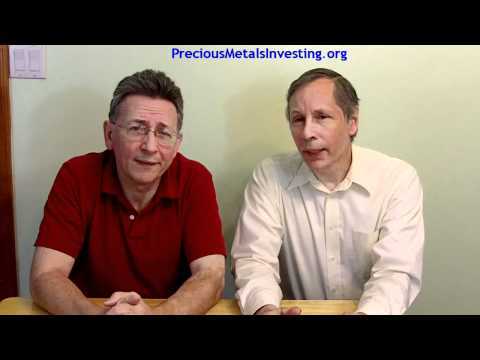 Paul Mladjenovic, author of Precious Metals Investing for Dummies has been predicting the rise of silver to these levels for two years Ted Sudol of PreciousMetalsInvesting.org and Paul Mladjenovic talk about their predictions for where silver is headed for the future. Silver passed 40 dollars today and visitors to PreciousMetalsiIvesting,org who have been following the silver investing advice they find here have been profiting. If you are interested in profiting from the historic rise in silver, whether you are a beginner looking to start investing in silver or someone who has already been profiting from investing in silver you will find information here that will interest you. Whether your interest is in investing in silver bullion, American Siver Eagles, silver ETFs or silver mining stocks you will find advice here at PreciousMertalsInvesting.org that will add some profit to your portfolio.